Our lawyers have represented individuals accused of violating of the NYS Navigation Law throughout Westchester County, Rockland County, Orange County, New York City, and Long Island including Nassau and Suffolk Counties. We encourage our prospective clients to plead not guilty and hire our Firm to protect their interest. Call us now at 800-893-9645. Our attorneys have successfully resolved thousands of cases in throughout New York. violating the NYS Navigation Law? If you have been given a summons or ticket, you should read the ticket thoroughly, follow the instructions, enter a plea of not guilty, and call our New York Navigation Law attorneys for a consultation. Call us now at (800) 893-9645. What can happen if I ignore the summons? The worst thing you can do is to ignore the ticket. Your failure to answer the ticket in a timely manner could result in your privilege to operate a vessel to be suspended or revoked. You could also be found guilty in your absence. In certain circumstances, you may be facing criminal charges. If you are convicted of a misdemeanor, you may be sentenced to jail or lose your job as a result of your conviction. This may be avoided by contesting your summons and hiring the right lawyer. Call today to set up a consultation at 800-893-9645. There are numerous charges for which an individual can be charged under the Navigation Law. Some charges are misdemeanors and can carry jail sentences. If you are charged with a misdemeanor, you may be prosecuted by the District Attorney’s Office. In addition, your boating license and professional licenses (such as a medical license) may be in jeopardy of being revoked or suspended. Navigation Law § 45: Reckless operation of a vessel or speeding. Among other things, a violation of this law may result in your privilege to operate a vessel or boat to be suspended. Navigation Law § 47: Failure to Report an Accidents. This is a misdemeanor. 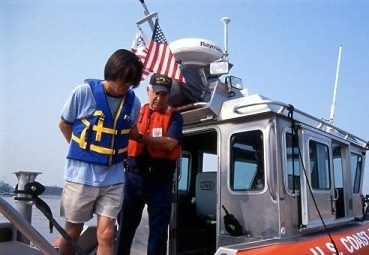 Navigation Law § 49-a: Boating While Intoxicated or Operation of a Vessel While Under the Influence of Alcohol or Drugs. If you are given a summons under this section of law, you may be facing misdemeanor or felony charges. In certain circumstances you may be facing an excess of one year in jail. Our Firm handles all facets of Navigation Law including environmental violations. For more information, call 800-893-9645 and make an appointment to meet with one of our attorneys.